I was bored and it seems like the GFX I gave yo uguys before are looking a bit old and outdated. WELL I have updated how I operate and of course Gimp is updated. Now then Please come in and get a gfx for free on your first request. Ok. I have a request. One of Sai and the words Root or Foundation somewhere on there. Make it a siggy picture like how you have with Sasuke. Make it dark and awesome please. 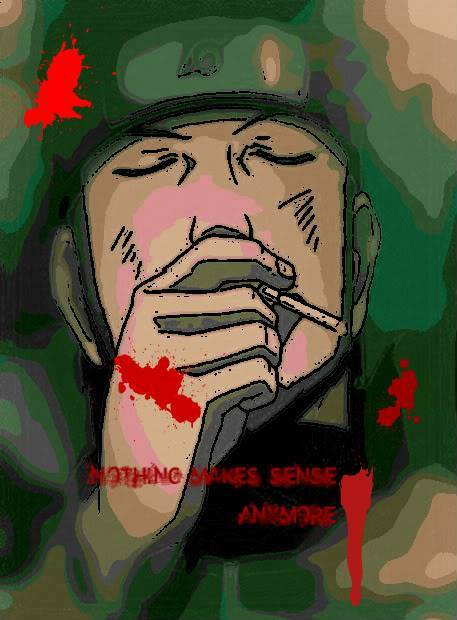 "It just doesnt make sense anymore"
If not then Naruto -Shippuden- with fox background and the qote from above. Okay but The only asuma pics online are mainly one with knuckles but the ones without it He has the knuckle blades, I can try to crop it out if possible. I forgot about your GFX ryo I'm working on it now though. It is hard finding asuma angry and without the blades, So I took a wallpaper and threw some shyt on it. So is this good or should I make something with naruto?